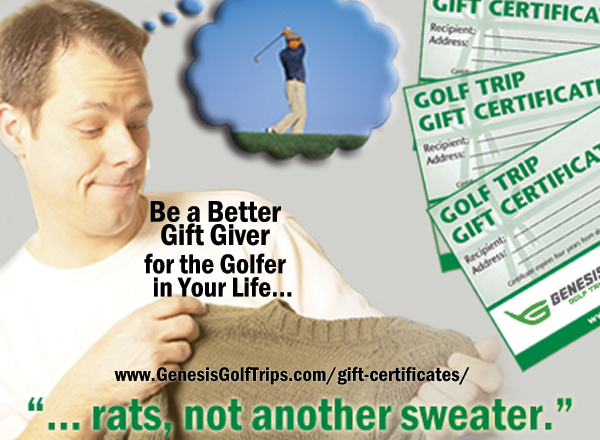 This holiday season give a gift that GOLFER’S will truly enjoy… GOLF! 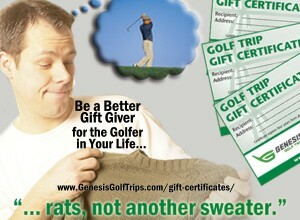 Genesis Golf makes it easy, by offering Gift Certificate purchases in $25 increments. They can be applied to any of our 10+ Golf Trail trips, our Genesis Golf4Kids program and now for 2017, time using our simulator or off-season lessons! No one delivers more golf options than Genesis. We make it Easy!